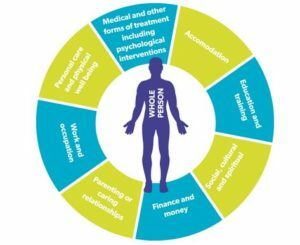 A voice in planning – In our experience people have the best chance of achieving recovery from a serious mental illness if they take control of their recovery, adopt a holistic approach and develop a step-by-step plan. Our staff work with each of our clients individually to achieve this outcome. The project works with young people between the ages of 14-25 experiencing early signs of Psychosis. The project works in partnership with ABMU Health Board Staff, providing young people with support through their identified Early Intervention in Psychosis Recovery Practitioner in the County Boroughs of Swansea, Bridgend and Neath Port Talbot.